For years now, brands have used social media contests to excite and engage their customers. In 2007 Twitter delivered the hashtag–the perfect vehicle for social sharing. In 2009 Facebook brought us “Promotions” and “Fans”–ideal for companies who wanted to expand their reach with customers. In 2015 Facebook started to roll out its “Facebook Live” feature–great for a visual-focused contest audience. Why Use Social Media Contests Anyway? Before we begin exploring what brands will need to do to keep their social campaigns relevant in the year ahead, it’s worth looking at why contests can be so beneficial to your brand. While it’s true that the age of the empowered customer has created more focused, cautious and “savvy” consumers, it’s also true these online enthusiasts still look for stronger relationships with the brands. What better way to optimize the connections you have with your audience than through a platform designed for social interaction? Not only does social media help businesses to bond with the millennials, Gen X and emerging Gen Z customers that own the marketplace, but contests can help speed up your ability to build relationships by hacking into the rule of reciprocation. In other words, if you give today’s customer something they feel like they should give you something in return. The simple answer to whether social media contests still work for 2018–yes, but only if you use them carefully. Let’s look at how you can adapt, enhance and turbo-charge your social contests for a new age of social experience. No matter what changes in the world of social media, one rule will always remain the same. If you want to achieve your goals, then you need to know your audience. 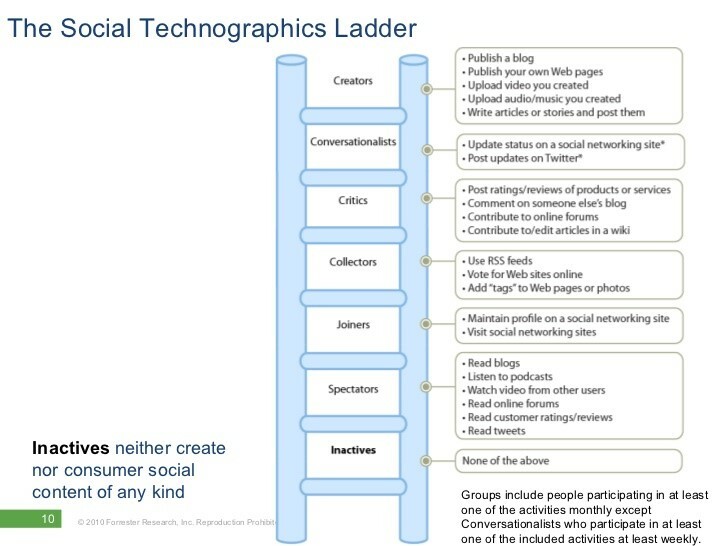 Today’s most-socially active customers are more complex than the generations that came before them. For instance, millennials prefer vacations and music festivals to houses and cars and feel a stronger affinity with companies who give something back to the community. Once both you and your audience know exactly who you’re speaking to, you can keep them engaged by tying your promotion to events and trends that matter to your target market. For instance, if you want to engage local game enthusiasts, you could tie your event in with tickets to an upcoming convention. Understanding your audience should help you to figure out where they spend most of their time. This is something that’s been true ever since social media contests first began. However, what’s changed in the marketplace, is the fact that there are now many new platforms available to experiment with. Snapchat now has more than 300 million active users each month. What’s more, around 173 million of those people are active on the platform every day. In other words, your visually-focused customers could be some of the most engaged leads you have. The key to making the most of these newer platforms isn’t just for sharing photos regularly and updating your campaigns. If you really want to inspire your audience, then you dive deep into what’s possible. For instance, in 2017, Taco Bell shattered a SnapChat record with its taco-head filter. While the contest only cost Taco Bell around $750,000 to set up, it gave them 224 million views within a single day. If Taco Bell had transformed their use of Snapchat into a contest where users shared their filter pictures online, the results could have been phenomenal. Just like when Coca-Cola used Music.ly to invite their followers to share music videos inspired by their brand in a hugely successful contest. Video-based campaigns: A new revolution in social video sparked in 2017, which we believe we’ll only continue to be prominent in social media contests of 2018. Now that things like “Facebook Live” are more popular than ever, it makes sense to engage your customers with an active, visual and experience-based campaign. Comment Giveaway campaigns: While comment campaigns aren’t exactly new ideas for 2018, they are still a good way to connect with the people at the bottom of the Technographic ladder who don’t want to do much to get involved with your brand. If a comment seems like too much, you could simply ask someone to give their response to a poll using one of the newer Facebook Reaction. Fan Content campaigns: As mentioned above, today’s customers like to get involved with their favorite brands. So why not invite your audience to share their own content and be a part of the experience? Ask them to create pictures, videos or live streams that respond to your brand. Social cause campaigns: Social causes are incredibly effective at improving customer engagement. This might be because millennials are more involved with philanthropy than many of the generations that came before them. If you can connect your contest with a charitable experience, you could significantly improve interaction. When it comes to holding successful social media contests your customers are literally “in it to win it.” In other words, the prize that you’re offering needs to be something that appeals to the people you want to connect with. If the outcome of your contests isn’t appealing enough then there’s nothing to motivate your followers to get involved. As we move ahead into 2018, it will become even harder to tap into effective social media engagement. So it’s worth keeping in mind that your target audience might not be looking for the same old prizes from their social media contests. Today, owning a product is easy, which is why millennials are looking for value elsewhere. Younger customers, and the people who spend most of their time responding to brands on social media are searching for ways to connect with people through experience. In fact, 72% of millennials prefer to spend more money on experience-related purchases. With that in mind, you might want to re-think the tangible prizes that were so compelling in the past. Free iPads and gift cards no longer have the appeal they once had. Instead, you’ll need to think about how you can demonstrate your brand personality, appeal to your audience and generate even more social sharing power through experiences. Remember, not only does something like tickets to a festival or a chance to go parasailing give your demographic groups a more appealing prize, it also increases the chances that they’ll share that experience on social media and link back to you. Your prize in 2018 could be a way to expand your social visibility even further. While social media-based companies might not be achieving the same organic growth they once did, that doesn’t make the space any less saturated. Over 88% of businesses are active on social media today, and plenty more are planning their campaigns for the future. That means you’ve got a lot of contests when it comes to earning your customer’s attention. Social media contests can be a great way to enhance engagement, but you’ll still need to convince your customers that they should interact with you. This also means you’ll need to spend more time offering unique prizes, creating unusual rules and striking up ways to generate action. One useful way to potentially give your contest volume in the year ahead is with live video. Although it might not be the “up and coming” trend in social media anymore at this stage it’s still one of the most novel engagement solutions out there. Since your users now expect more in-the-moment engagement from their favorite brands, live video could be your opportunity to cash in on a platform that’s growing by about 94% a year. Finally, in an age where interacting with your target audience has become more complicated than ever, there’s nothing wrong with tapping into technology for a little extra help. Making sure you have the right resources before you launch your social media contests could be the key to ensuring you get a powerful response from your customers. You might choose to employ the benefits of a social media tool like Sprout Social, which could help you to schedule automatic updates about your contests on Twitter, Instagram and Facebook. Those automated posts could countdown to a live stream or an upcoming event that shares more about your giveaway. Additionally, you can easily track your branded hashtags and keywords associated with the contest to see who’s participating. 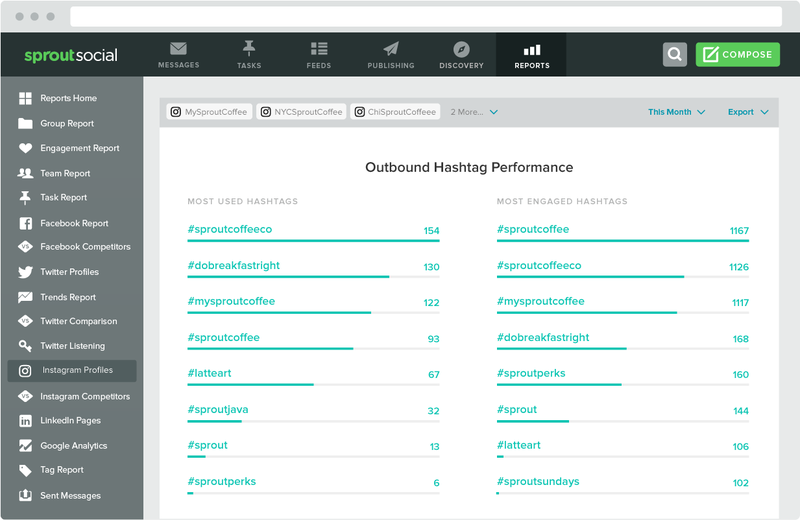 Sprout makes it easy to track, benchmark and analyze your hashtag data to see just how well your contest worked. On the other hand, one of the resources that appears to be maintaining its impact on social media today is the power of influencers. More than 90% of marketers using an influencer marketing strategy today believe it’s effective for increasing customer engagement. In 2017 we’ve seen numerous brands using traditional advertising strategies struggle to connect with their customers. In the years ahead it could be that companies embrace influencers to connect with wider audiences. Social Media Contests in 2018: Still a Winning Strategy? Ultimately, the age of the social media contest isn’t over. But the way that brands use these contest to engage with customers may need to change. When it comes to connecting with millennials and generation Z who want experience and socioeconomic value, we can’t take the same approach that we used with contests just a few years ago. While the journey to organic visibility is changing on many social media platforms, contests continue to be a great way of earning shares, engagements and impressions. That means that they’re still worth your investment–you just need to be willing to adjust and adapt. With the steps above, you can craft more modern, future-focused social media contests, designed to delight your customers, outshine your competitors and position your brand as a winner.